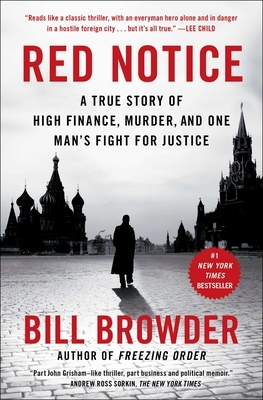 Monday, December 3rd, 2018, 5:30 p.m.
Gibson's Book Club reads Red Notice: A True Story of High Finance, Murder, and One Man's Fight for Justice, by Bill Browder. Our book club is free and open to the public, newcomers are encouraged! Join us for every month, or deal yourself in as the spirit moves you. All meetings unless otherwise noted are on the first Monday of the month, and begin at 5:30. Parking is cheaper in the Capitol Commons garage on Storrs Street than on the street. Our book club is open to all, and democratically run by the participants. We've chosen an eclectic, ambitious list of books for the coming year: join us for every meeting, or deal yourself in as the spirit moves you. Many of these titles are in paperback, or should be by the time we'll read them, and they will all be discounted 25% from the publisher's price for the following year, whether you join us for meetings or not.